Again circle the wire around the loop 2-3 times to create another swirl. 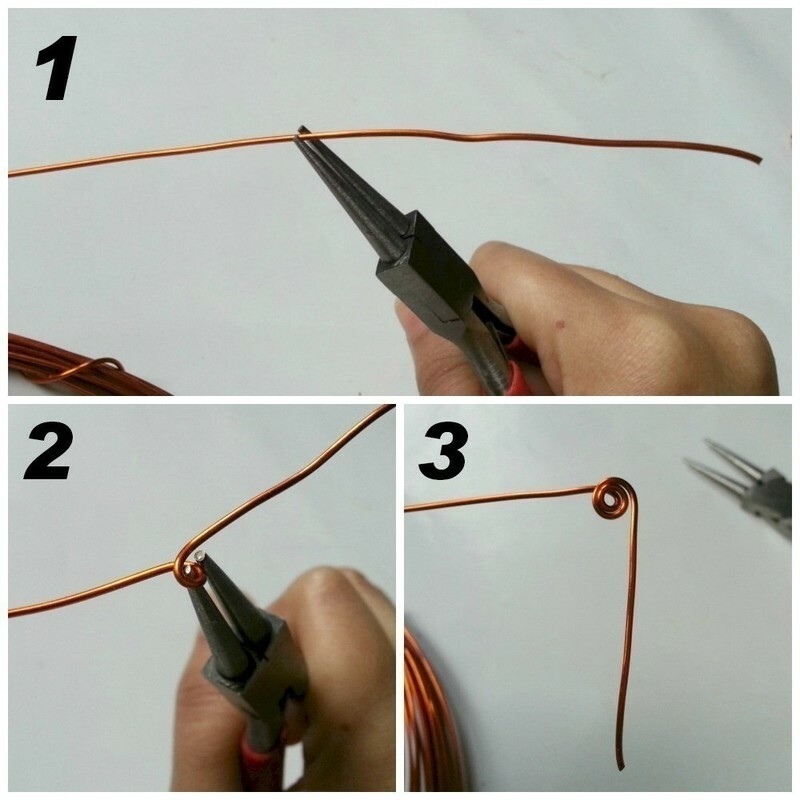 cut off extra if needed, after coiling. 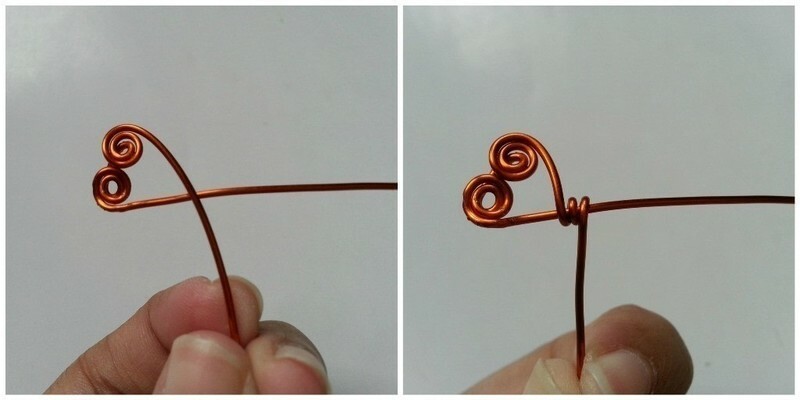 Make the next heart by bending the wire on the marked area. 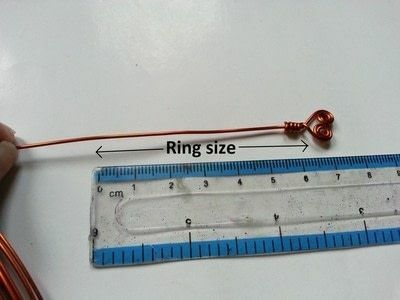 Remember that the ring size should include the straight part and any one heart. 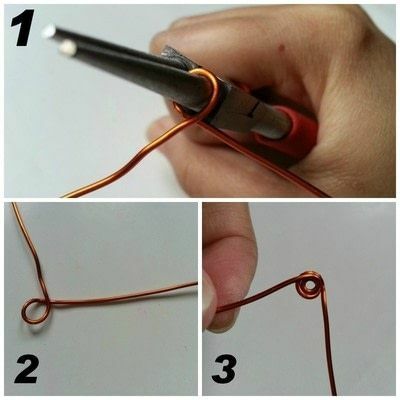 Then carefully circle the wire inside that loop to create swirl. 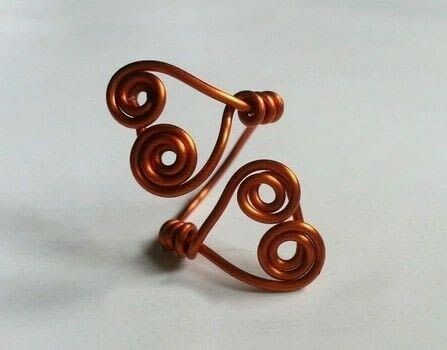 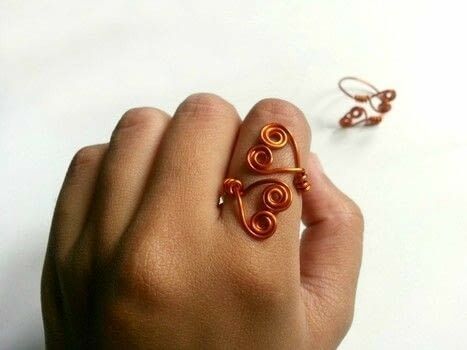 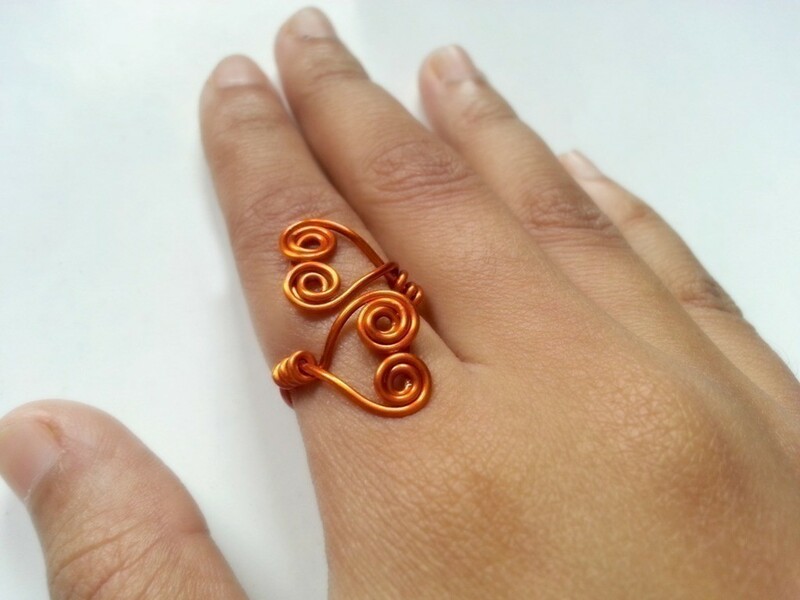 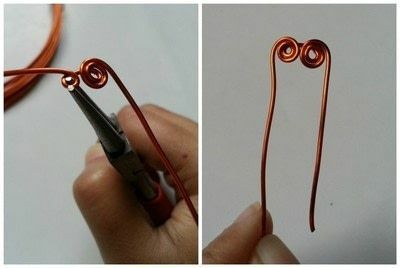 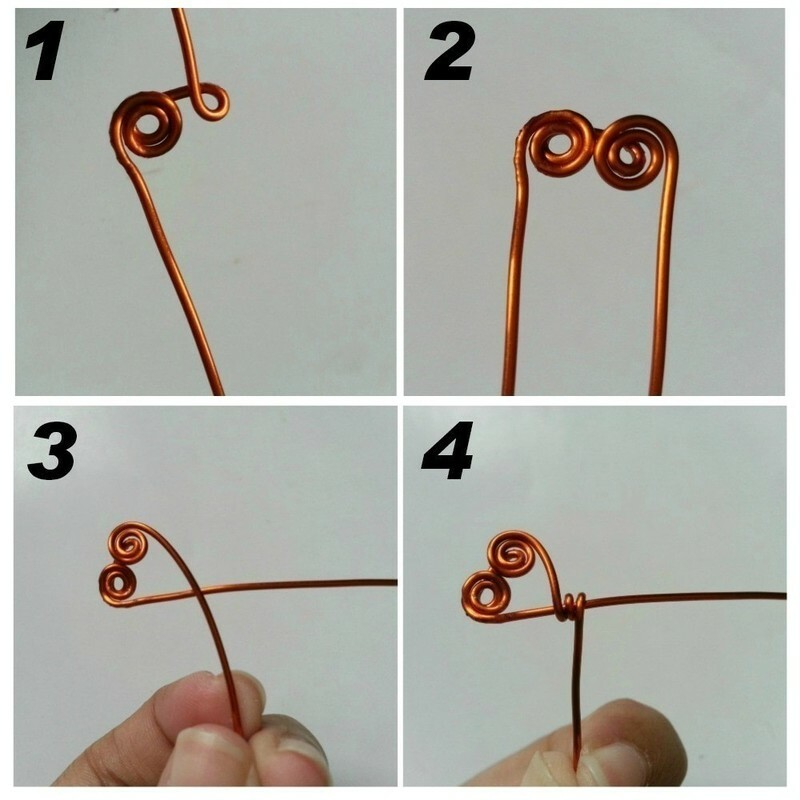 Make a small loop and circle the wire around that loop 2-3 times to create another swirl. Coil the extra wire around the other straight part, cut off extra if needed. 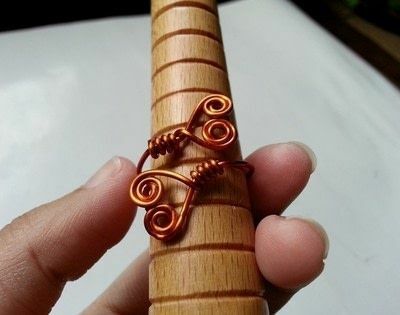 Wrap the straight part and then the hearts around mandrel. 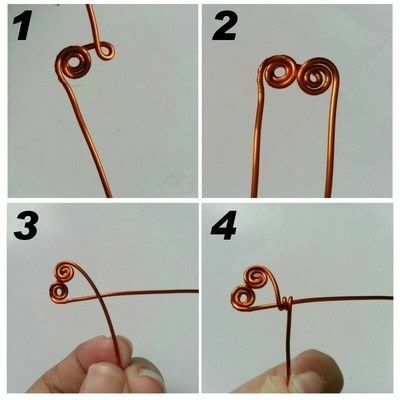 Adjust and press the hearts to give them a smooth round shape.